LEADA holds Duck Races on the Foreshore in Lakes Entrance on a regular basis. 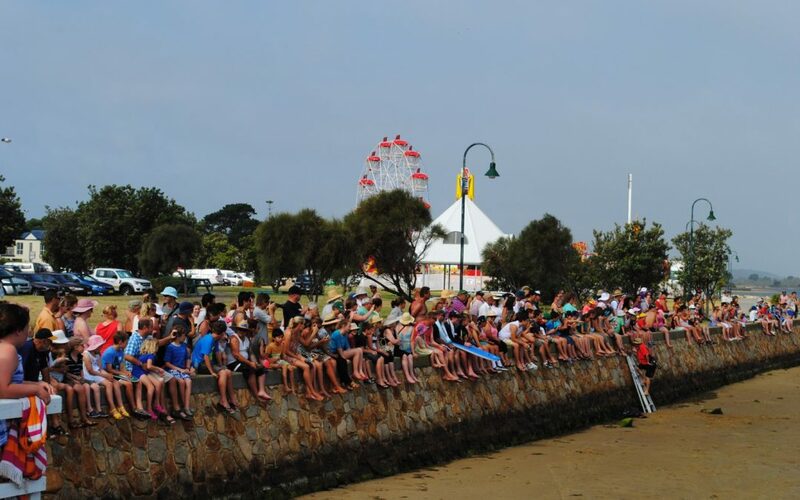 The Duck Races are a fundraising initiative of LEADA, to provide activities on the Foreshore for families and kids during long weekends and school holidays. All funds raised go towards the activities and the annual New Years Eve Fireworks. LEADA can always use additional assistance setting up and running the Duck Races. If you don’t mind taking control of a microphone, or selling Ducks on the day on the Foreshore, then give LEADA a call on 0435 504 239 or email admin@leada.com.au for dates. Ducks on sale from 1pm. Activities including: Petting Farm, Face Painting, Jumping Castle & Balloon Twisting from 1pm – on grassed area of foreshore near footbridge.